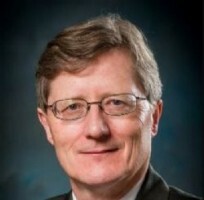 Sigurd Meldal is a Professor in the Department of Computer Engineering at San Jose State University and the Director of the Cybersecurity + Big Data Initiative at SJSU. He has testified in federal court and been deposed multiple times as an expert in computer science, computer engineering and software engineering. He has provided technical opinions regarding mobile devices, networks, wireless telephony, databases, service-oriented architectures, web systems, and geospatial positioning. Dr. Meldal has provided technical opinions in IP litigation regarding mobile devices, networked systems and services-oriented architectures. In particular, he has assisted in litigation and related processes involving smartphones, wireless communication and telephony, networked database systems, location-oriented web services, and mobile device positioning systems. Well known as an influential scholar in the computer science community for his discoveries and inventions in the areas of software engineering, computer programming, and theoretical computer science. Serves as Director of the Cybersecurity + Big Data Initiative, where he is spearheading new research and graduate programs in cyber security and data sciences. Previously served as Chair of the Department of Computer Engineering at San Jose State University, where he remains a tenured faculty member in both the Computer Engineering and Computer Science Departments. Has testified in federal court and been deposed as an expert witness about iOS, Android, AMSS, and Blackberry software running on Apple, Qualcomm and other mobile hardware platforms, as well as more generic software systems and networked server architectures. Co-authored the seminal paper on the algebraic foundations of non-deterministic operators, which has been widely cited by his academic peers in related research publications. Was a senior researcher in the project developing the Rapide language framework for prototyping of distributed architectures and the abstraction mechanisms necessary for large-scale conformance checking. Authored the curriculum for Cal Poly’s new undergraduate degree in software engineering and San José State University’s new BS and MS Software Engineering degrees. Has worked with universities in India and China to establish collaborative frameworks for student and faculty exchanges, and for dual or joint degree programs bringing together students from different countries into one educational context. Has published a book and more than 60 peer-reviewed technical papers on a broad spectrum of practical and theoretical subjects in software engineering and computer science.